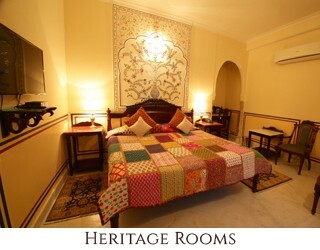 Khatu Haveli is located in the heart of the walled Pink City of Jaipur . 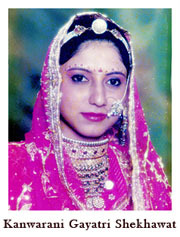 It is just half a kilometer off the main East-West artery of the Pink City. Train Station is one and a half kilometer away while the Airport is 13 kilometers. The City Palace, Hawa Mahal and Jantar Mantar are two and a half kilometers away. Khatu Haveli was built in mid 19th Century . 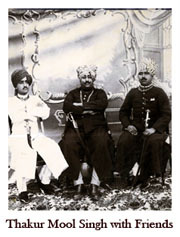 Since then, six generations of the Khatu family have lived in the magnificent Haveli. Khatu is a small township which is located approximately 80 km west of Jaipur. 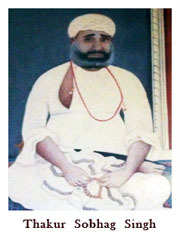 Khatu is also a very popular Hindu pilgrimage site. 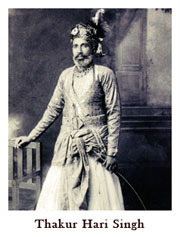 Khatu Haveli was built by Thakur Sobhag Singh (Thakur is the title given to the ruler of the fiefdom). 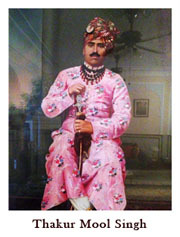 His son, Thakur Hari Singh was the Commander in Chief and Chief of Police in Jaipur during the pre-independence era; his only surviving grandson amongst six brothers, Brigadier Amar Singh and his wife Sushma Singh presently run a portion of the Heritage Haveli as a small boutique property. A haveli is a structure typically built around a courtyard. A large haveli comprises of two or more such structures with the courtyards interconnected. 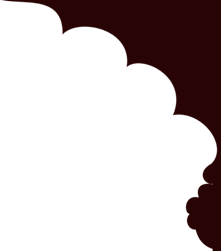 Khatu Haveli comprises of three spectacular courtyards and like most haveli's is characterized by magnificent arches, verandas, galleries and terraces. The unique location of Khatu Haveli gives the guests a glimpse and feel of the hustle and bustle of the people of this ancient city, as they face the challenges of the present times. The terraces offer an enthralling view of the famous Nahargarh Fort perched on the hilltop overlooking the Haveli. The personal touch of the hosts with their vast experience will make your stay very special and memorable. Khatu Haveli beckons you to savour renowned Rajput hospitality set in true heritage ambience juxtaposed with all modern amenities. 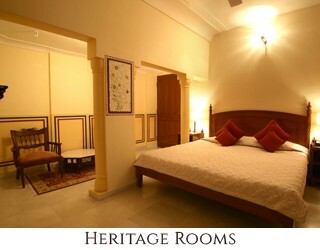 •	Heritage rooms are located on the 2nd and 3rd floors and have easy access to the various terraces in the Haveli. Two of these rooms are inter-connected with sepearte changing rooms and independent bathrooms thus making these ideal for family / friends. 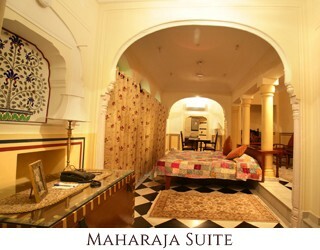 •	Maharaja Suite (1st floor) was the bedroom of the Thakurani Saheba (senior lady of the family) and therefore is very special with a unique character. It also has luxurious space with an attached kitchenette and a large changing room. In addition to a double bed there are two sofa combeds making it possible to accommodate four person. It has two attached bathrooms. 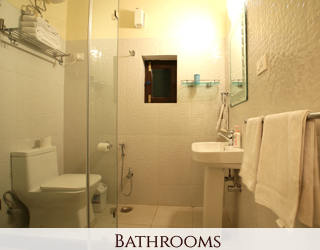 Extra charges are levied for occupancy of three or four. 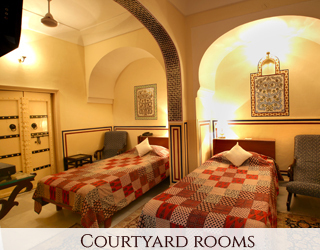 •	The Courtyard Rooms are located on the ground floor and open into the Courtyard. The rooms are characterized by traditional arches.